PROVIDENCE – Former state senator and businessman James E. Doyle II, 47, of Pawtucket, was sentenced Friday to two years in federal prison for a check-kiting scheme in which prosecutors said he passed $74 million in worthless checks. He also failed to report more than $1 million in income to the IRS, according to federal authorities. In addition to the prison time, U.S. District Court Chief Judge William E. Smith sentenced Doyle to three years supervised release and ordered him to pay restitution totaling $426,707.25 to Santander Bank and Alliance Blackstone Valley Federal Credit Union. Doyle pleaded guilty in September 2018 to 31 counts of bank fraud and one count each of filing a false tax return and failing to file a tax return. At the time, he admitted that as owner of Doyle Respiratory LLC and Doyle Sleep Solutions LLC, he made $74 million worth of bogus transactions through accounts at three banks. 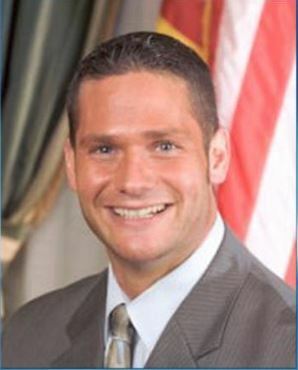 Doyle, son of the late Pawtucket Mayor James Doyle, also admitted that between 2013 and 2016 he and his wife failed to report to the IRS more than $1 million in income and didn’t pay $305,426 in federal taxes. Doyle would write checks from accounts with insufficient funds, depositing those checks into different accounts to cover daily overdrafts. At the same time, he would write checks from those other accounts and deposit those checks into the first account. This apparently created the appearance that all the accounts had sufficient funds, deceiving banks into honoring the checks. Prosecutors said Doyle performed the check-writing scheme daily, sometimes making more than 50 transactions a day. He also used ATMs to lengthen the time it took the checks to clear. Tens of thousands of worthless checks were written before Doyle was arrested, prosecutors said. “An incarcerative sentence of 24 months is most appropriate considering the damage Mr. Doyle’s actions, in defrauding three banks of almost half a million dollars, [have] done to erode the people’s trust in their public officials,” Weisman said in a statement. William Hamilton is a PBN staff writer and the special projects editor. You can follow him on Twitter @waham or email him at hamilton@pbn.com.